Hello. I am Tami from Kamp Kindergarten. 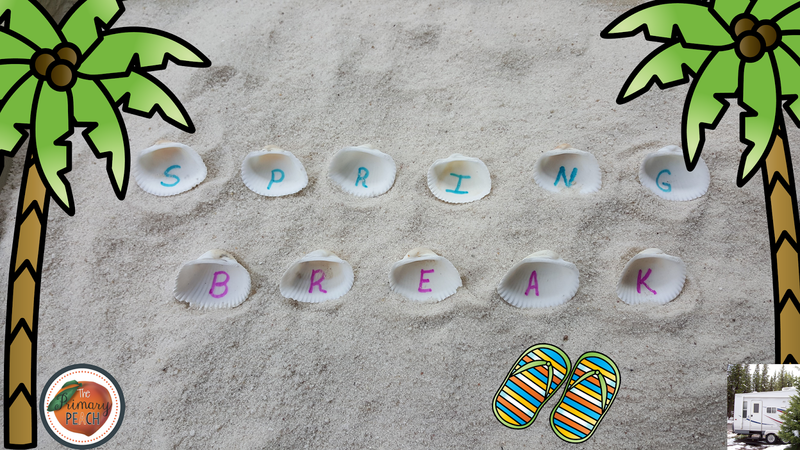 I am going to be discussing a topic near and dear to most teachers at this time of year---Spring Break. No matter how much we love our little learners, most teachers are more than ready for Spring Break when it finally arrives. I know that was certainly the case for me. Then, when I was on break, what was on my mind? School, of course. Specifically, what activities could I plan to make the final weeks fun for my students? Whether we stay home and recharge or spend a few days away, we still think of our little ones. While Georgia is a large state, we are blessed to be located within reasonable driving distance of several desirable vacation destinations. Forests, mountains, caverns, lakes, beaches, and even Orlando, FL tourist destinations can be reached in a day’s drive from most Georgia locations. Many Georgia families visit beaches either in Georgia or neighboring states for spring break. If you are like me, finding seashells is a fun part of visiting the beach. No matter how many shells I have, I always find more. 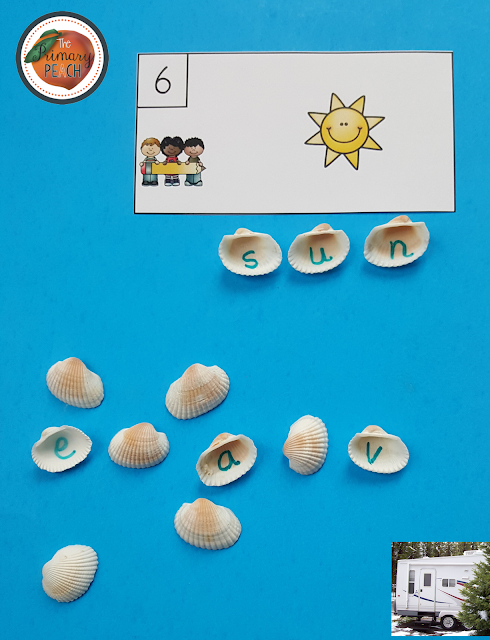 I have found that using some of the shells at school is a great way to engage little ones during the last few weeks of school when they are so over anything we have been doing all year long. One simple way to use the shells is in a tray or container of sand. Children can sort the shells, order them by size, or simply enjoy the sensory aspect of touching the shells and sand or moving the shells about in the sand. 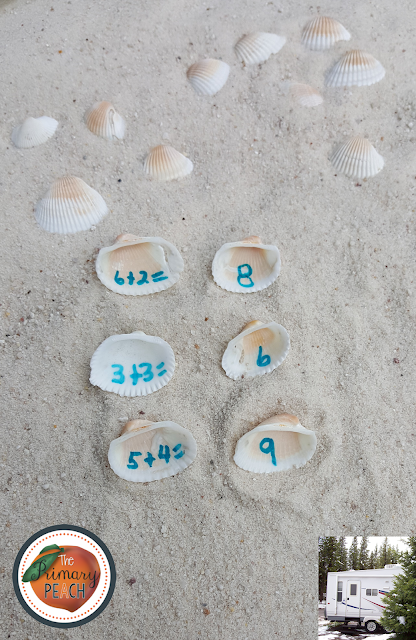 Use a Sharpie and write letters or numbers in the shells. Turn the shells over and place them in the sand so the writing is not visible. If you like, you may bury them in the sand so students dig through the sand and search for the shells. After finding the shells, students place them in alphabetical or numerical order in the sand. PLEASE NOTE: The writing will not come off the shells. 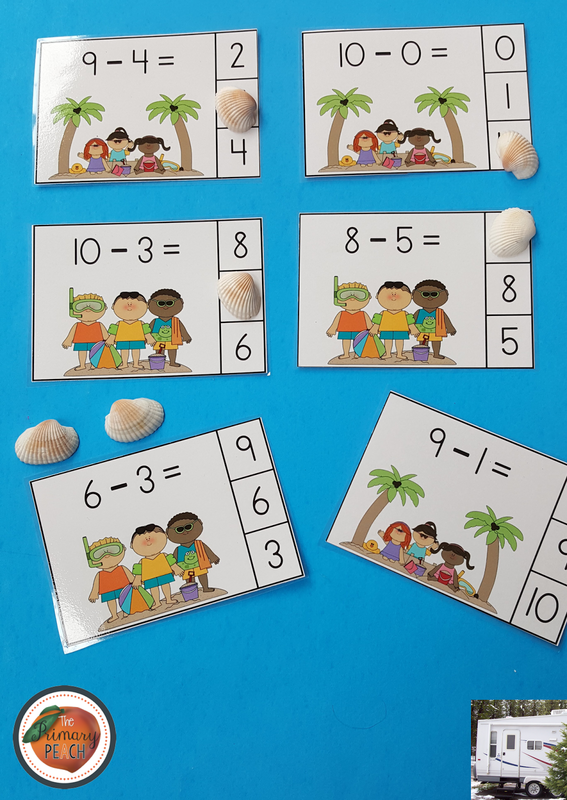 Consider that when selecting ones you want to use for these activities. You may write an addition or subtraction equation on one shell and the sum or difference on another. 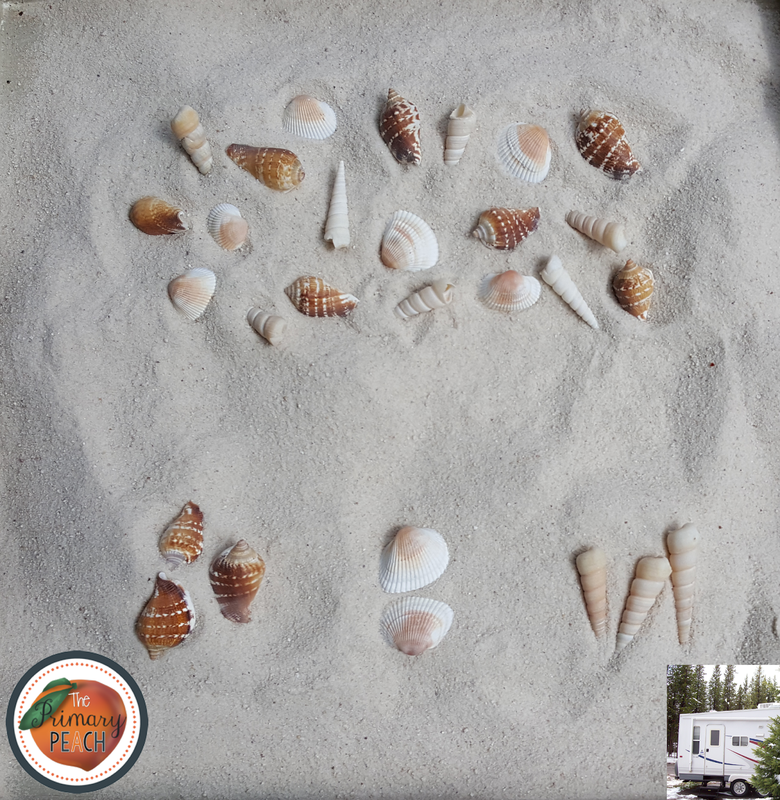 Put the shells in the sand tray and let students search for the shells. 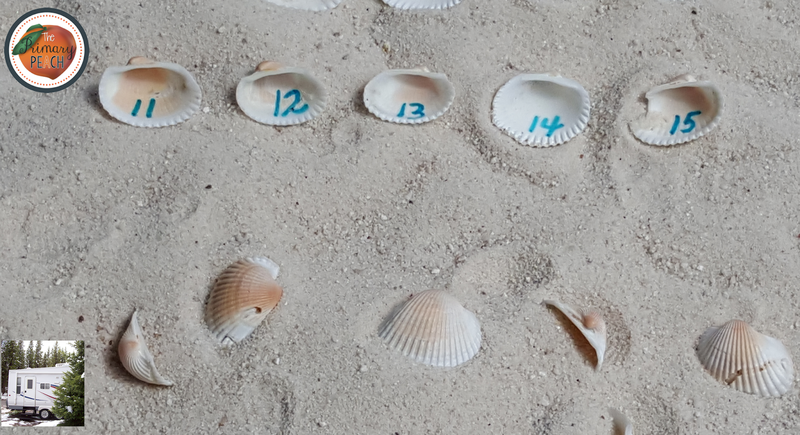 After finding the shells, students match the equations to the answers. 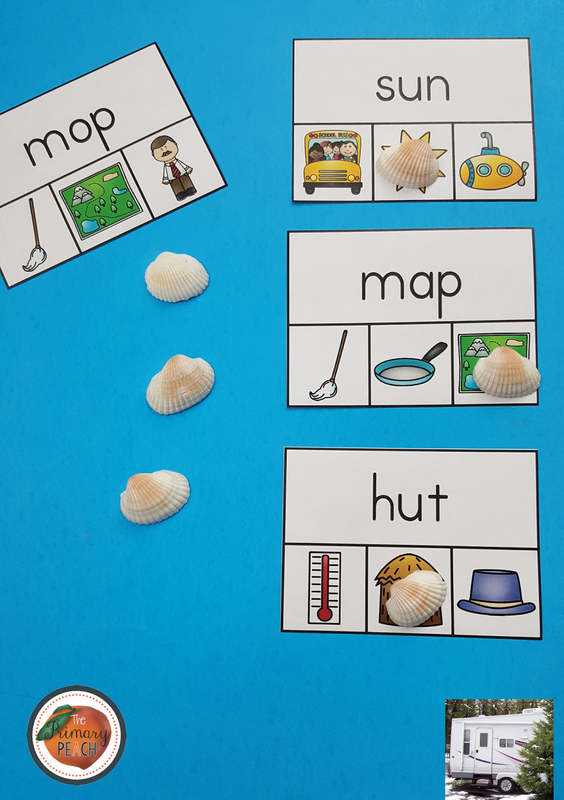 Shells with letters may be used for word work and word building activities. You may use any word cards you already have in your classroom. Click on the links to download the free cards pictured. Shells may also be used in lieu of clips to mark answers on clip cards. You may use clip cards you already have in your classroom or click on the links to download the free cards pictured. 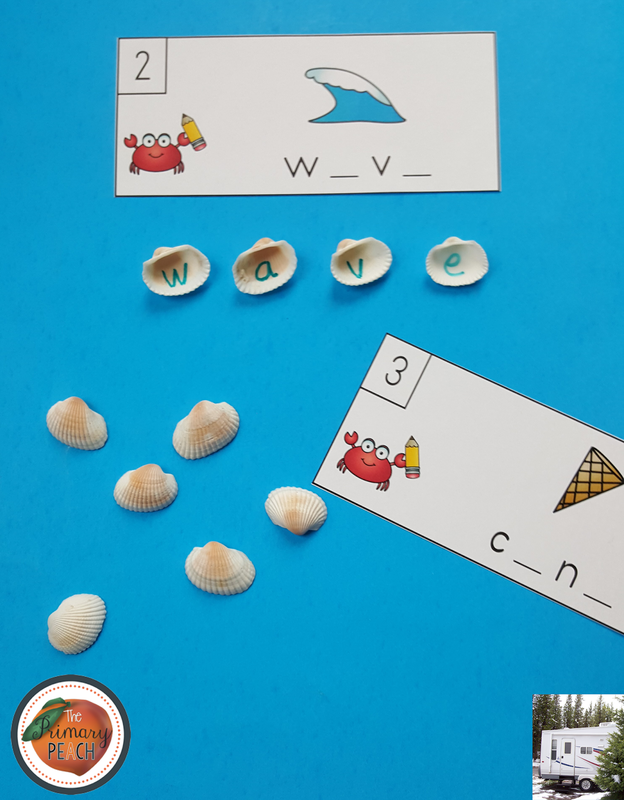 I hope these seashell activities are fun for you and your little ones. I want to wish you and your little learners a wonderful Spring Break. I hope all of you come back refreshed and ready to enjoy your last few weeks together.